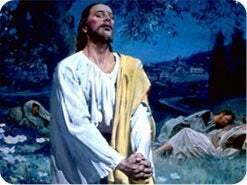 The disciples of Jesus were completely devastated. All of their hopes and dreams for the new kingdom of God had been nailed to a cross the previous Friday. 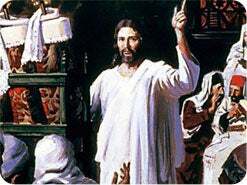 Reeling with grief and confusion, Cleopas and his companion slowly made the seven-mile trip from Jerusalem down to their home in the little town of Emmaus. As the sun was setting that Sunday afternoon and they trod their way down the bumpy road, a stranger drew near to journey with them. Little did they know that this new traveling companion was the resurrected Lord Himself. Paying little heed to their fellow pilgrim, the two dejected disciples rehearsed the staggering events of the weekend, feeling more despondent with every step. 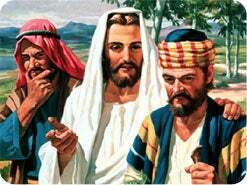 As Jesus silently listened, He desperately longed to reveal Himself to His downcast friends. But the Lord deliberately shielded His true identity because they needed now, more than ever, to understand the Scriptures. 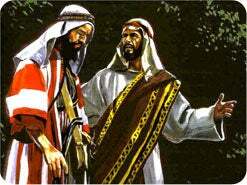 If Christ had allowed these two faithful followers to recognize who He was, they would have been far too excited to listen to the important truths He had to share. 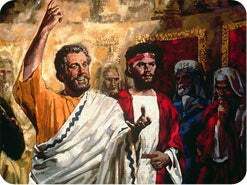 Even after three and a half years of listening to His teaching and preaching, they still did not comprehend the nature of His mission. He had plainly told them, "The Son of man is delivered into the hands of men, and they shall kill him and after that he is killed, he shall rise the third day. 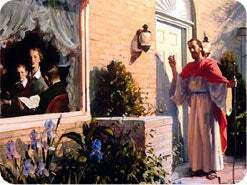 But they understood not that saying, and were afraid to ask him." Mark 9:31, 32. 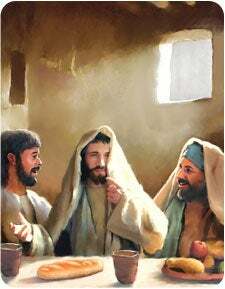 Jesus gently interrupted their sad conversation, and for the next two hours He gave them the keys for understanding all Scripture and prophecy. Luke 24:25. Believe ______ that the prophets have spoken. 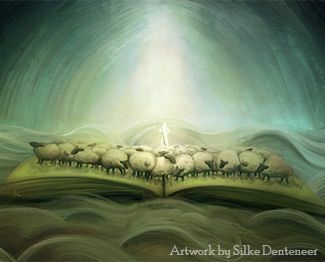 2 Timothy 3:16 __________ scripture is given by inspiration of God. Luke 24:27. 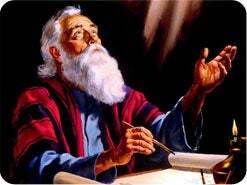 Beginning at Moses and all the prophets, he expounded unto them in all the scriptures the things concerning ________. 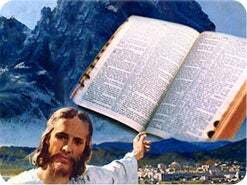 John 5:39 Search the Scriptures; for ... they are they which testify of me. Revelation 1:1 The Revelation of Jesus Christ, which God gave unto him, to shew unto his servants things which must shortly come to pass. John 1:1. In the beginning was the ______, and the __________ was with God, and the __________ was God. John 1:14 And the __________ was made flesh, and dwelt among us. 2 Peter 1:21. _______ men of God spake as they were moved by the __________ Ghost. Luke 24:35. He was known of them in breaking of __________. 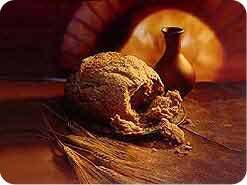 NOTE: In the Bible, bread is a symbol of the Word of God. 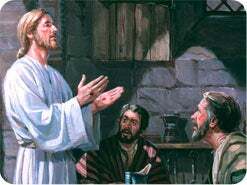 Jesus said, "It is written, Man shall not live by bread alone, but by every word that proceedeth out of the mouth of God." Matthew 4:4. As we read, digest, and follow the Scriptures, we will find strength, joy, peace, and everlasting life. Job 23:12. I have esteemed the words of his mouth ________ than my necessary food. NOTE: The devil hates the Bible and will do almost anything to prevent people from reading it. He knows that its prophecies expose his plans to deceive the human race. So don't be surprised if Satan attempts to distract you from this series of lessons or tries to get you preoccupied with other things. God will make a way for those who seek to know the truth to find it. John 16:13. When he, the __________ of truth, is come, he will guide you into all truth. 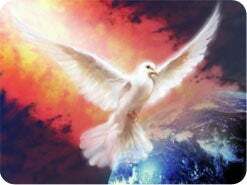 John 14:26 But the Comforter, which is the Holy Ghost, ... shall teach you all things. 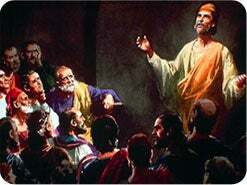 1 Corinthians 2:13 We speak, not in the words which man's wisdom teacheth, but which the Holy Ghost teacheth. Luke 11:9. And I say unto you, ______, and it shall be given you. Luke 11:13 If ye then, being evil, know how to give good gifts unto your children: how much more shall your heavenly Father give the Holy Spirit to them that __________ Him? 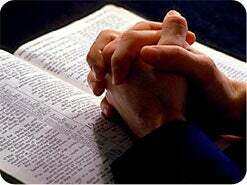 John 7:17 If any man will do his will, he shall know of the doctrine, whether it be of God. 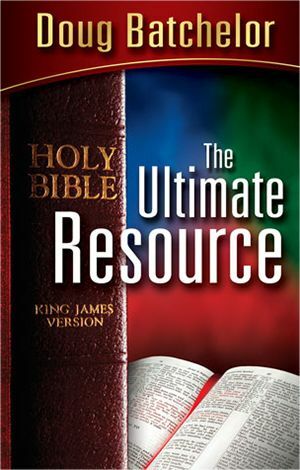 NOTE: Part of the work of the Holy Spirit is to help us understand the truth of the Scriptures. This is why we should always ask the Holy Spirit to guide us before we open God's book. I can be certain the Holy Spirit is guiding my Bible study if (1) I ask Him to guide me, and (2) I am willing to accept and follow truth as He reveals it to me. Psalms 119:11. Thy word have I hid in mine heart, that I might not ______ against thee. 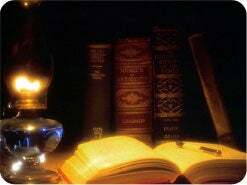 Romans 15:4 Whatsoever things were written aforetime were written for our learning, that we ... might have hope. James 1:5 If any of you lack wisdom, let him ask of God ... and it shall be given him. Isaiah 28:10. For ______________ must be upon __________, ... line upon line, ... here a little, and there a little. 1 Corinthians 2:13 But which the Holy Ghost teacheth; comparing spiritual things with spiritual. 2 Peter 1:20 No prophecy of the scripture is of any private interpretation. NOTE: We must lay aside our own ideas and study the Bible by reading everything in the Scriptures on any given subject ("here a little, and there a little") and by comparing all the verses for input. We should let the Bible speak for itself. When this is done, the truth always comes through clearly. 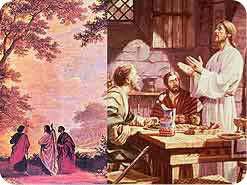 This is how Jesus convinced the two disciples on the road to Emmaus that He was indeed the Messiah (Luke 24:27). 2 Timothy 3:15. Thou hast known the holy scriptures, which are able to make thee wise unto _________ through faith which is in Christ Jesus. NOTE: The Scriptures help us understand God's great plan of salvation--the most important information ever given to mortals. John 14:6. Jesus saith unto him, I am the way, the __________, and the life. John 17:17 ...Thy word is __________. NOTE: We find the truth in God's Word--the Bible. Truth is a scarce commodity in today's world, and all the people of earth suffer as a result. The truth about everything that really matters is found in Scripture. Studying and following its counsel sets people free (John 8:32) and brings them happy, abundant living (John 15:11). 2 Timothy 2:15. 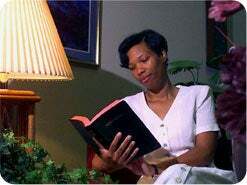 Study to shew thyself approved unto God, ... rightly ________________ the word of truth. 2 Peter 3:16 In all his epistles ... are some things hard to be understood, which they that are unlearned and unstable wrest, as they do also the other scriptures, unto their own destruction. 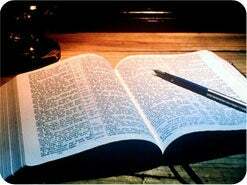 NOTE: "Rightly dividing the word of truth" means to interpret it correctly and truthfully. There is great danger in twisting Scripture to make it say what we want it to say. What I say about the Bible matters little. What counts is what Scripture says about itself. Acts 17:11. They received the word with all readiness of mind, and ________________ the scriptures daily, whether those things were so. Luke 24:32. Did not our __________ burn within us, while he talked with us by the way, and while he opened to us the scriptures? Luke 24:33. They rose up the same hour, and ________________ to Jerusalem, and found the eleven gathered together, and them that were with them. 17. Do you wish to fully understand and follow the Scriptures? Following is a list of key terms that often have symbolic meanings in Bible prophecy. Each symbol is in bold type and is followed by its corresponding literal meaning. Winds = Strife / commotion / "winds of war"